This entry was posted in 1977 Animals & In The Flesh Tour by Doc. Bookmark the permalink. I think I know who Rontoon is but I won’t reveal his identity. hey bro!! Thanks, thanks for this amazing work!! My new favorite podcast. More stuff from the Animals/WishYouWereHere tour would be great. Clearly, Floyd at their best. Doctor doctor what is wrong with me? Can’t seem to shake these pink floyd blues. Hey Doc!!!! Any recordings of Roger’s set in the Newport Festival that you may enlighten us with? I’m Fede from Argentina, your inspiration for the Dream Mix Podcast, hehe. I continue to enjoy all our mixes, btw. As usual, great work!!! No decent recordings as of yet for Newport. In regards to David Gilmour: I have counted 4 shows you have dedicated to DG. Are you going to have anymore before the new release of “Rattle That Lock”? Great Show. Thanks again. I’m not so in the 77-shows but after listening your earlier shows from Paris a few months ago and this one I start to like the shows more and more. Fantastic Pigs!! Great sound. 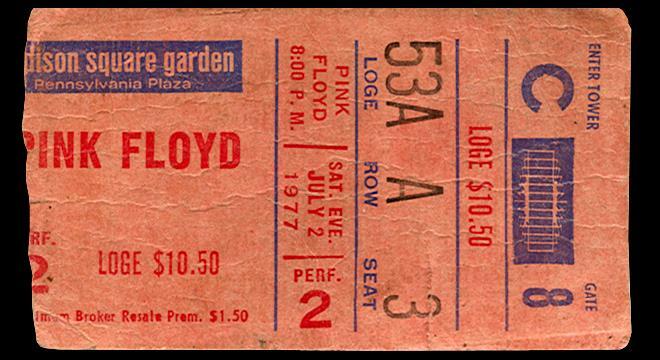 Hate to be a party pooper or hall monitor, but this is The Oakland show from 77′. At minimum Shine on is from Oakland. Note for note with the exact imperfections. Thanks for the comment but you’re mistaken. Absolutely NONE of this recording is from Oakland, whatsoever. I’m more than happy to prove it. The second set is amazing! Thanks again, Doc! Thanks again for another incredible podcast. You keep knocking them out of the ballpark. Here’s to wishing you a smooth transition. I hope it gladdens your heart to know that the hard work and devotion that you put into these podcasts will live forever and brings endless joy to thousands. Also, you seem like a pretty cool guy. 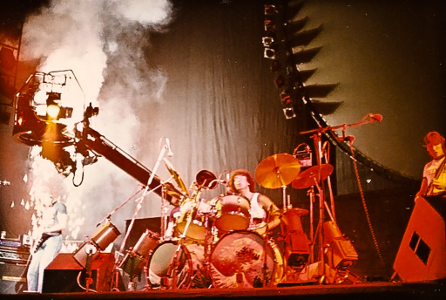 But I see why Rog was alienated from the touring experience at this point in time. Whomever was setting them fireworks off… ugh! Ohhhhh YEAHHHH!!! One of my favorite shows from my favorite tour! So looking forward to this one, Doc! You’re the best! I’m really looking forward to listening to this one. Doc… Than ks man! This is awesome. I am amazed how you just keep it coming!! Too few +++’s for what you do for us. You have a very happy, supporting listener here. Happy 4th!! AAAAAaaaaagggghhhhh!!!! Sorry had to get that out of my system! This is the Holy Grail as far as I am concerned! This tour was the first time I saw Pink Floyd Live, being at Earls Court London! Thank You Doc! Thank You! Thank You! Thank You!